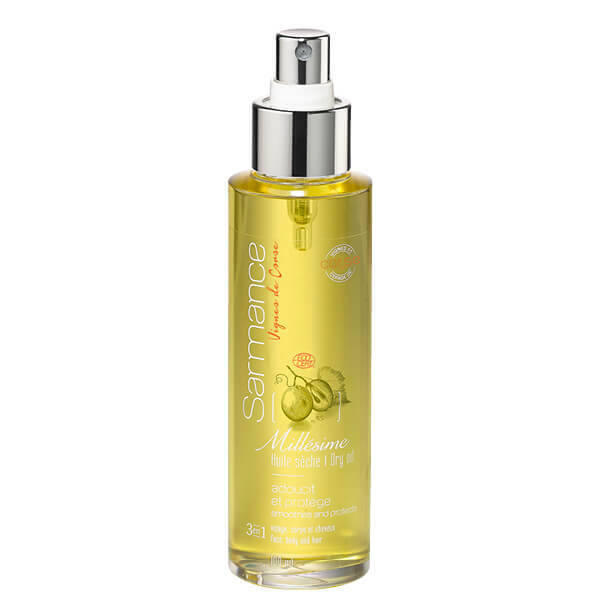 Millésime Dry Oil helps to nourish, protect and soften the skin and hair. It prevents moisture loss and leaves skin supple with a satiny feel. With a unique texture and highly original formula, it has a soothing action while enhancing the skin's hydrolipidic film. Recommended for dry and fragile skin. Millésime Dry Oil helps to nourish, protect and soften the skin and hair. 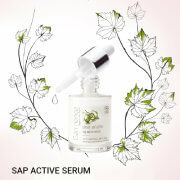 It prevents moisture loss and leaves skin supple with a satiny feel. With a unique texture and highly original formula, it has a soothing action while enhancing the skin’s hydrolipidic film. Recommended for dry and fragile skin. Contains grape seed oil, Corsica vine macerate, jojoba oil, olive oil, camellia oil, macadamia nut oil, sunflower oil and sesame seed oil. For use as a body oil, apply to dry skin after a bath or shower. For use as a day cream, mix Ressource moisturiser with a few drops of Millésime oil. For an overnight treatment, apply two squirts of oil to the face before bed. For use as a hair mask, apply to split or dry ends. 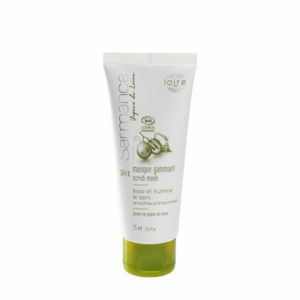 Leave for 30 minutes, then rinse and shampoo hair with Sarmance Hair & Body Wash.